The stage is bare. The props and costumes are all waiting to be properly sorted and stored. Saturdays feel a little aimless, and I think more than a few of us feel a sense of dazed inertia after a hectic, exhilarating year of rehearsals and productions. RTC has more plans to get together this summer, of course. We have our year-end picnic at the end of the month, and we’re all going up to Stratford to see The Lion, the Witch and the Wardrobe, and Macbeth in a couple of weeks for our second annual out-of-town field trip. But it’s not the same. Looking back on everything we accomplished this year – we feel an enormous sense of pride and achievement. 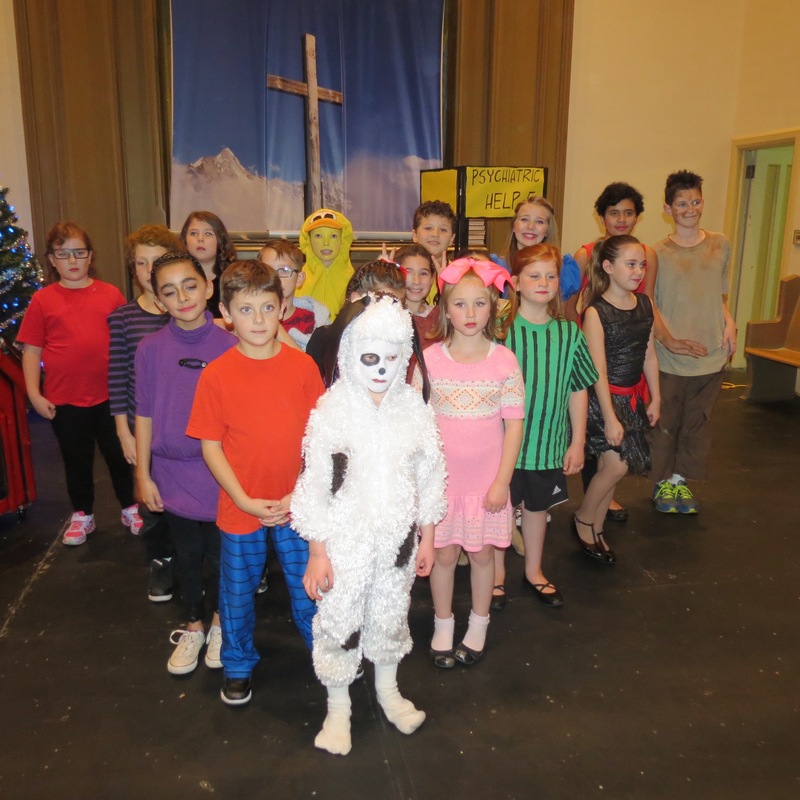 Three productions – bringing the total number of plays produced by RTC to a whopping 30. That’s pretty respectable. We had eleven new Juniors this season – ELEVEN! That means that more than half of our Juniors were brand new to theatre this season. And yet, within three months, even with some upheaval in our volunteer staffing for their group, we still had them on stage – a stage obtained rather worryingly late, but obtained nonetheless, thanks to The Downtown Mission – performing A Salute to Peanuts, and performing it with confidence and style. 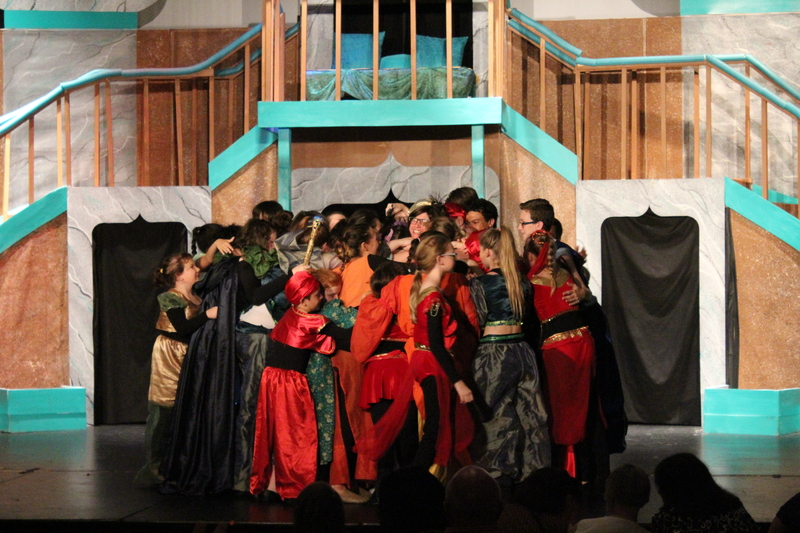 On the other hand, with our cast of 29 Seniors, only six were new. Very few of our Seniors wanted to go anywhere else at the end of last season, so we just got bigger. 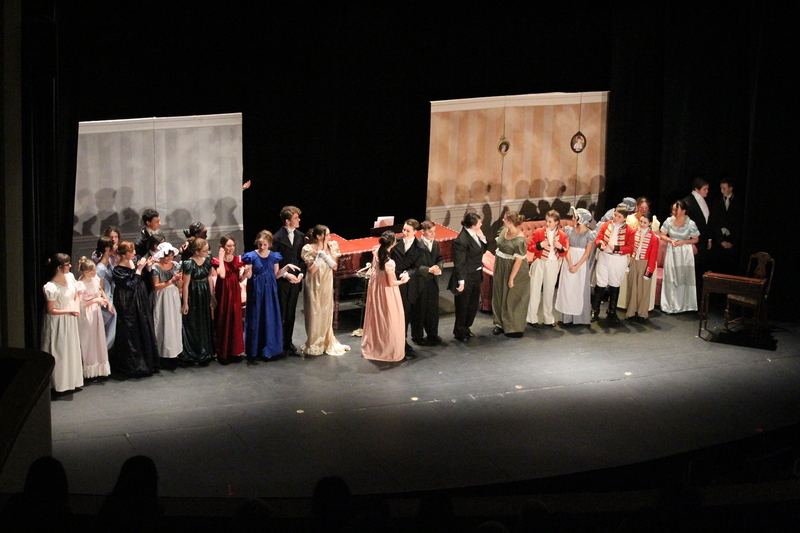 And knowing in advance that we were going to have a big group, we needed a big play, and so we got down to the busy work of adapting what I think was the most challenging straight play we’ve ever attempted – Pride and Prejudice. We were really excited to be given the opportunity of offering disadvantaged students complimentary tickets to the school shows with the Riverfront Educational Initiative, and the compliments we received on our students’ work with this production was definitely head-spinning. They put on a solid, smooth and eloquent three-hour production four times. Not only that, but they were in demand enough that we had a reprised appearance at the Duff Baby House about six weeks later for some selected scenes. In the end, what does it mean to our own kids? “I have been loved and supported over the years here. This year I have learned that dreams do come true if you believe in them and work hard.” – M.
“RTC has inspired me in theatre, music and the arts. It has shown me my hidden skills and talents. Looking to be part of RTC for many, many years.” – H.
“Riverfront is my second home. I never want to leave.” – R.
“Riverfront has been, for many years, my home away from school, away from parents, away from my stresses; it has been somewhere to get me out of my head. The atmosphere is overwhelmingly supportive and accepting, and creates an ideal place to learn and make a beautiful fool of yourself. I cannot express how important Riverfront is to me.” – K.
So…yes. This is the end of our 13th season – but that’s all – not the end, in any other sense. Because this is youth theatre. They come back, they grow up with us, we grow with them, new kids arrive, and we keep making a difference together. We’re so very proud of that. Thank you to everyone who has been a part of our 12th season – our actors, our volunteers, our audiences, our sponsors, our families. Bless you all! 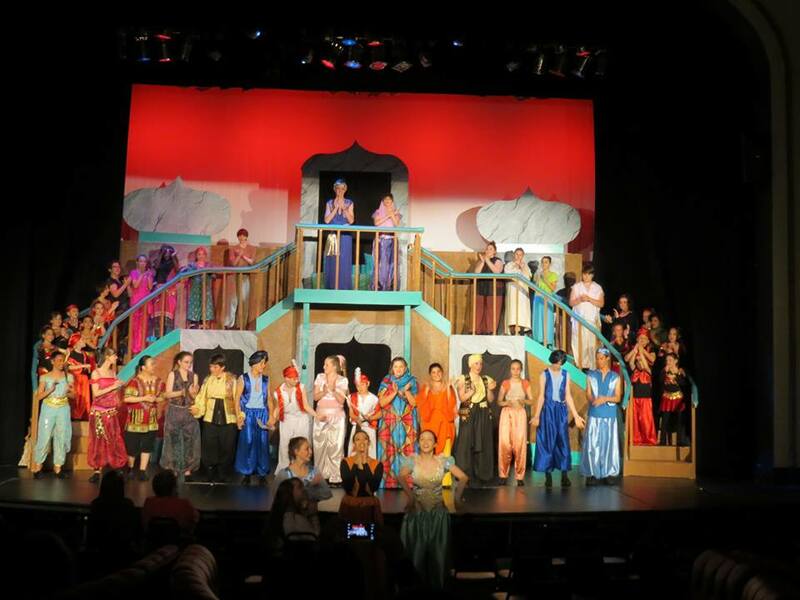 Previous: Previous post: Aladdin and the Arabian Nights – Spellbinding Tales! Next: Next post: Stratford 2016 – Riverfront Is On The Move!